Netways delivers consultancy and high-quality business technology solutions to governments and organizations in all industries. We aim at exponentially accelerating intelligent evolution of industries through digital transformation of human experience, mind collaboration and thing interaction to attain optimal productivity and foster collective agile innovation. 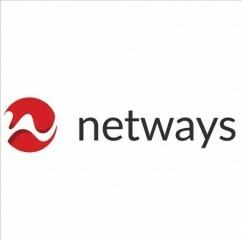 Netways has been a Microsoft Gold Certified Partner for more than 15 years of proven expertise in implementing turn-key solutions, based on Microsoft’s latest technologies. We serve more than 2,500 customers through our worldwide locations in the MEA (Lebanon, Jordan and Egypt), KSA (Riyadh, Jeddah and Khobar), Gulf (UAE, Bahrain and Qatar) and North America (Canada) Regions.